So I have to admit that I'm a bit of a fabric hoarder. When I really like a line, I buy all of it and just stare at it. I'd love to make pretty things out of it, but I either have too many good ideas and can't settle on just one, or I have some okay ideas, and can't bear to cut into the fabric unless it's for the perfect project. Example: I have fat quarter stacks of both the Flea Market Fancy reprints and Comma. They've found homes where I can look at them while I sew, but that's it. And the same was true of my stack of DS Quilts fabric from Joann's. It was girly and flowery, but not over the top. And it had the perfect mix of flowers and geometric prints. I managed to find them all in the clearance section. I'd search through those giant shelves and do a happy dance when I'd find it marked down to $6/yd. 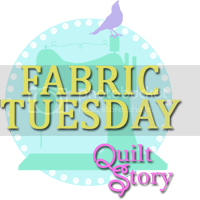 Then, one day, I decided that I wanted to do something traditional with them, but not boring, and I found the Solstice Stars Quilt Series at Fresh Lemons. Trying out a bunch of different star patterns would be fun, and using only these fabrics would keep it from looking too crazy! One of my favorite stars is the first of the row of four. So many little pieces though! And the wave quilting on the far left is one of my favorite patterns to do. I made a few of the Solstice Stars, but didn't have the courage to try the paper pieced ones. Then I searched through the Gen X Quilters Block Library for a few more to get some diversity. I was trying to figure out the layout, and was considering making the whole top out of stars, but my friend Jess suggested the big chunks of fabric. Genius! It looks modern, and you get to really see how awesome that fabric is. The quilting was really fun too. I did a bunch of different patterns within the stars, and then all the different fabrics have their own pattern. The quilting doesn't really show up well on the chunks, but it adds a lot of great texture. I'm still deciding whether to sell this one in my Etsy shop. I like it, but it's so different from anything in my house. I'll probably just hang it on my wall for a while and see how I feel about it. 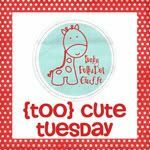 Linking up with Quilt Story for Fabric Tuesday, I Have To Say for Show and Tell Tuesday, and Funky Polka Dot Giraffe for Too Cute Tuesday! Pants, and Yarn, and Bread. Oh My!